Couple weeks ago I was invited to attend my first local event for fashion and makeup bloggers, hosted by NYX Cosmetics. I was happy to meet some local bloggers and got to connect with a few. This was my first local blogger event and I must say I was pretty nervous, since I didn't know anyone. Luckily I was able to bring a guest and ended up inviting my awesome girlfriend, Seema (pictured above). I've attached a short video from the event here, along with some photos you can check out here. 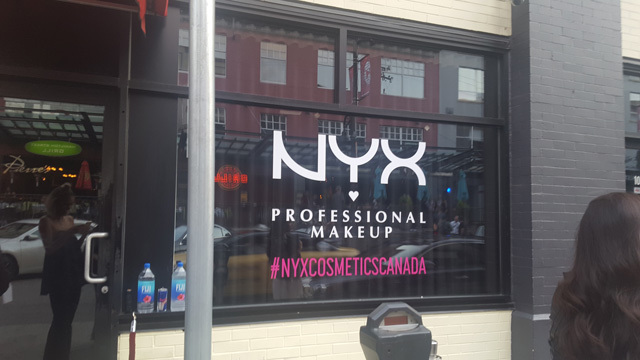 I was very impressed with the event and must say NYX Cosmetics definitely knows how to throw an awesome party, with amazing food, music, and service! For the event, I ended up wearing this gorgeous floral maxi that I scored during the Zara summer sale for less than $35! I paired it with taupe open toe lace up heels, a green purse and gold Kate Spade earrings to finish off the look. The dress is sold out, but I've added some of my favorite floral dresses below for you all to shop. Have missed you & your blog, hon. Life has been getting busier and busier, it's crazy. Looks like a fun event! Thanks for sharing the video. I love your printed Zara dress and those super cute heels! I really love your floral dress! Such a perfect summer look. Zara floral dress is so pretty, you look stunning.